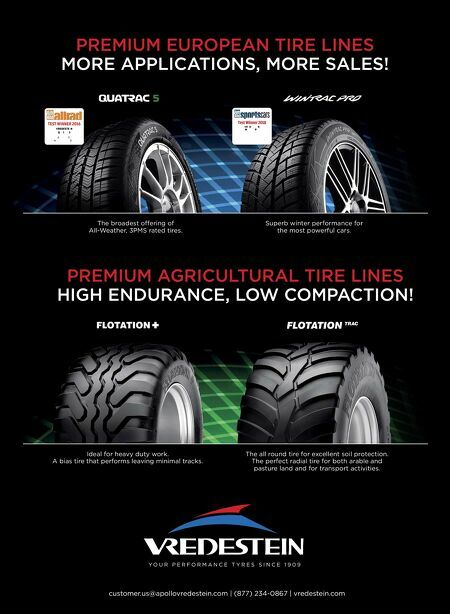 customer.us@apollovredestein.com | (877) 234-0867 | vredestein.com PREMIUM AGRICULTURAL TIRE LINES HIGH ENDURANCE, LOW COMPACTION! PREMIUM EUROPEAN TIRE LINES MORE APPLICATIONS, MORE SALES! The all round tire for excellent soil protection. The perfect radial tire for both arable and pasture land and for transport activities. Superb winter performance for the most powerful cars. Ideal for heavy duty work. 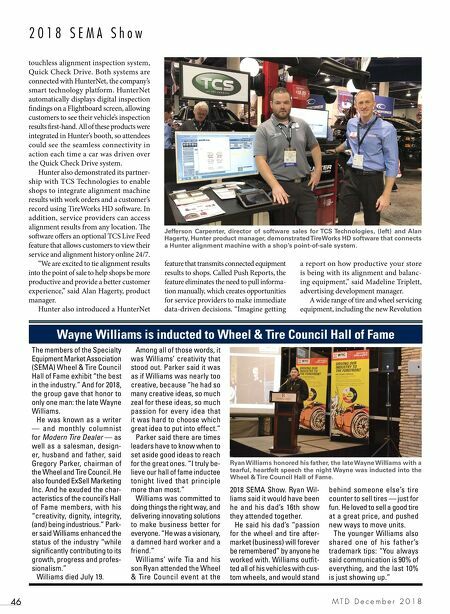 A bias tire that performs leaving minimal tracks. The broadest offering of All-Weather, 3PMS rated tires.